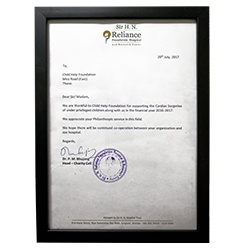 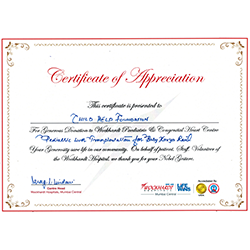 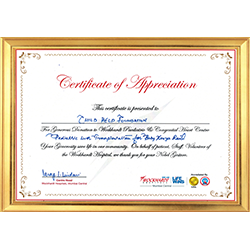 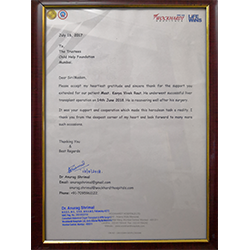 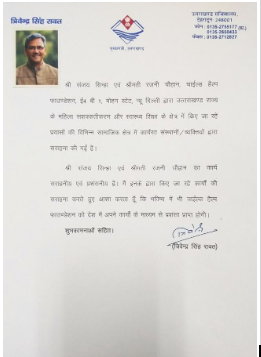 Letter of appreciation from H.N Reliance Hospital for the work of CHF towards care for medically critical children. 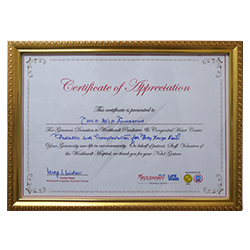 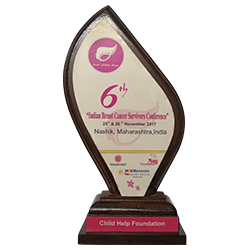 For supporting cancer patients from Tata Memorial Hospital. 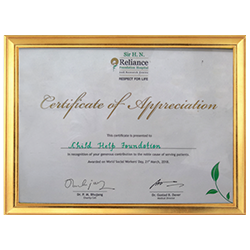 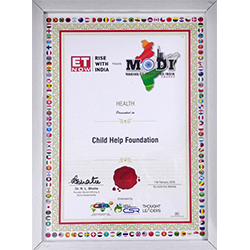 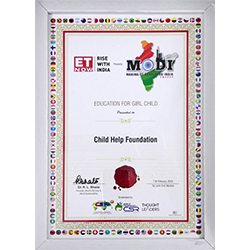 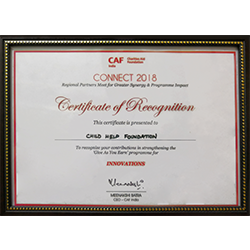 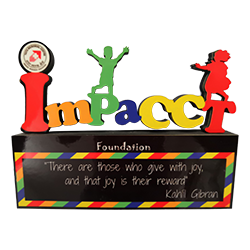 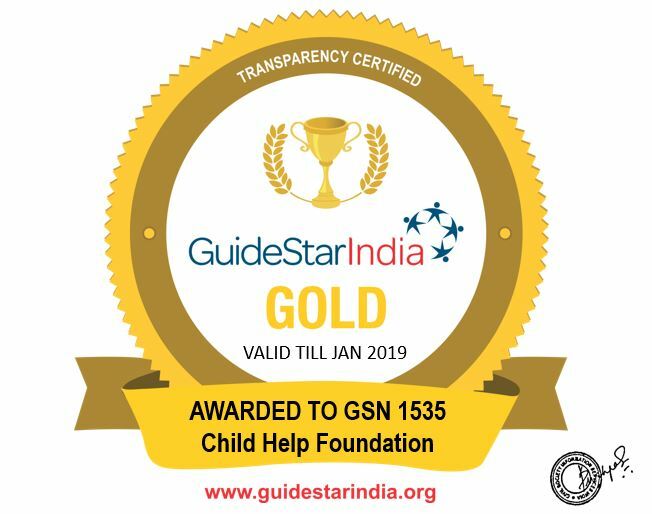 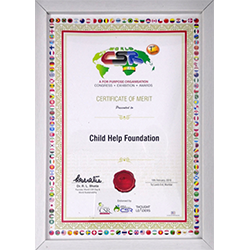 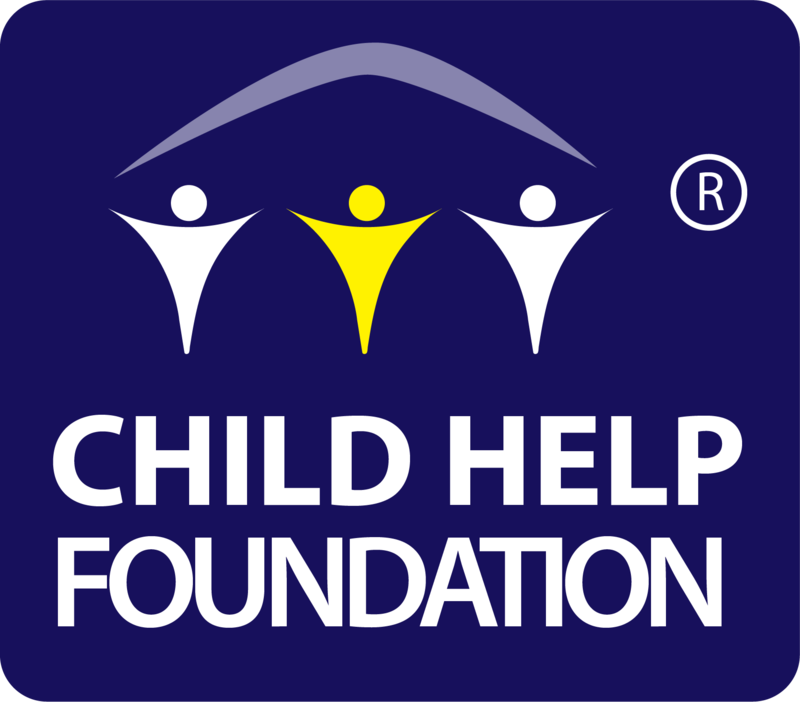 For supporting underprivileged children who need emergency medical intervention from H. N. Reliance Hospital. 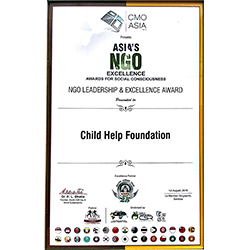 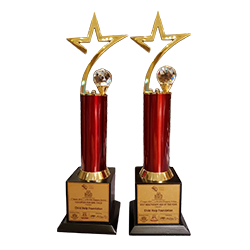 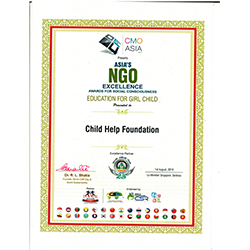 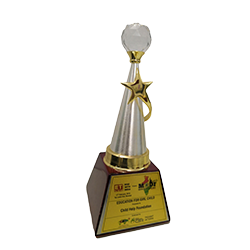 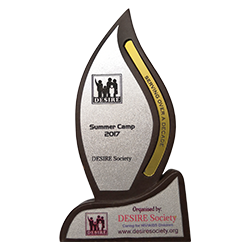 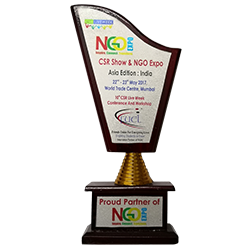 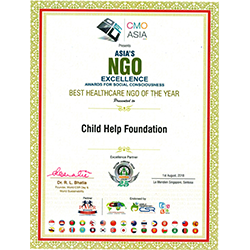 CMO Asia's NGO Excellence Awards for Social consciousness NGO Leadership and Excellence.